It is one of the largest and one of the most formidable animals you will encounter while on safari. It is also, sadly, one of the most hunted trophy animals. 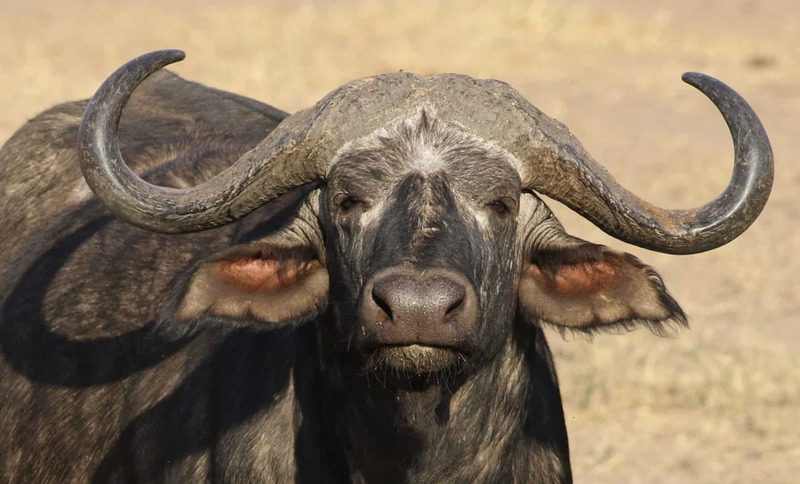 The Cape buffalo is a member of the Big 5, and it is an animal that you are almost guaranteed to see when embarking on one of the many Kruger Park drives offered by touring companies such as Kurt Safari. With a massive horn span and a moody disposition, the Cape buffalo has quickly gained a reputation for being an animal to be wary of. Those conducting Kruger Park drives have plenty of respect for this beast, and will not put you or the animal at risk. While gazing at the buffalo from the safety of a safari vehicle, you would be mistaken for thinking that the docile creature munching away on grass is unable to switch moods at the drop of a hat! But this bovine is a tough prey for lions, and other predators, to take down simply because of its nature. Often, when predators attempt to tackle the buffalo, they are left licking their wounds. 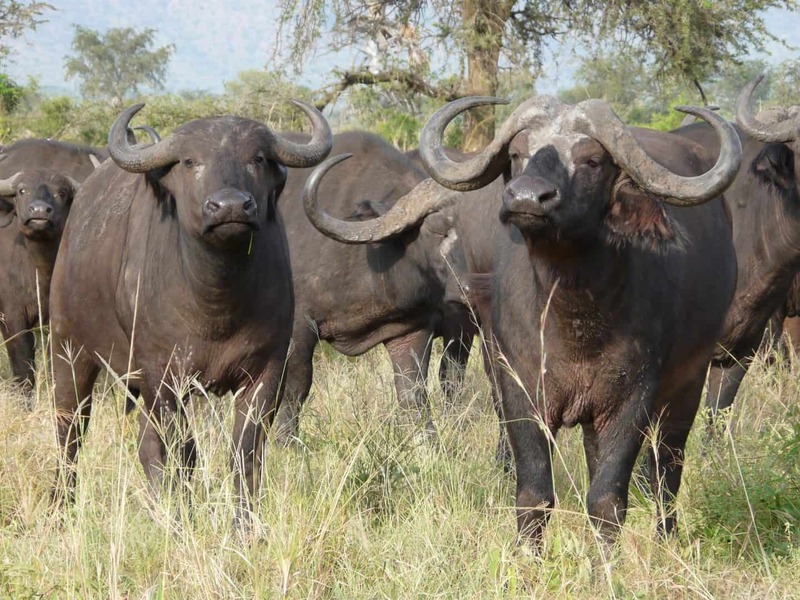 Before you embark on an exciting Kruger Park safari, you should learn a little about the Cape buffalo. Contrary to their feisty nature, and even though they can fix you with a rather unfriendly stare, the buffalo is a social animal when amongst the members of its herd. Herds can consist of thousands of buffalo, moving and grazing as one. For them, there is safety in numbers, and it is usually when you see an approaching dust cloud that you know herd is nearby. You will very seldom see a solitary buffalo. 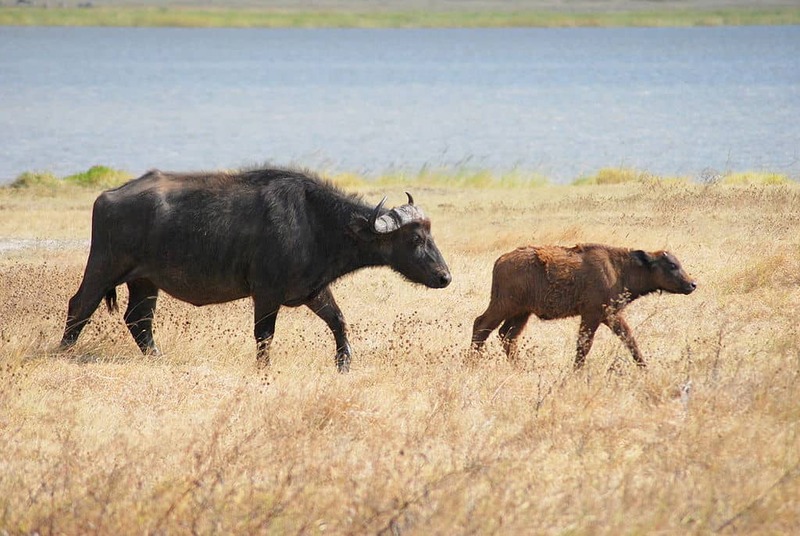 Unlike the other members of the Big 5, buffalo do not fight for territory. But as with most herd animals, the males do fight for dominance over their clan. Within a herd, there can be a number of smaller clans. So, this means that within one herd there can be a number of dominant males. There is also a status hierarchy within the herd. Older animals usually have a higher status and will walk at the front of the herd, away from most of the predatory danger and nearest to the food. Where can you spot Cape buffalo? If you are going to be enjoying one of the many Kruger Park safaris available, your best opportunity to spot buffalo will be near to Satara. However, this is not the only place that buffalo roam. They are rather well spread throughout the Kruger National Park. The best sightings are usually near to water holes or rivers. In these instances, the buffalo move as one towards the water and it can be quite something to see them all coming for a drink. Older bulls get evicted As the saying goes, nature is cruel.When the bulls of the herd get older, they are kicked out of the herd. Usually, these aged bachelors will group together and get on with life as their own small clan. They also tend to become very grouchy and hostile, which is understandable seeing as they don’t have the protection of the herd anymore. Pathfinders The herd does not move mindlessly from one place to the next. Instead, there are certain members of the herd who will become pathfinders. They will guide the other buffalo to where they need to be. They are not water shy Buffalo love water! This has a lot to do with their diet. Eating mostly dry grass can be thirsty business, so when the time comes to take a drink, they will rush. Drinking up to 35 litres of water a day and even taking a dip, they are even known to swim from one side of a river to the other in search of food. They don’t forgive A buffalo sure knows how to hold a grudge, at least, this is something many hunters might say. There have been reports of buffalos attacking people many years after the person has done it harm. You can hardly blame the animal. Extra protection It is not just their horns that are capable of keeping them protected during a fight. There are places on the neck of a buffalo that are as much as 2 inches thick. If it is the Big 5 you are in search of, you have no better opportunity to see them all than with Kruger Park drives.